Every automotive salesperson I’d ever met who averaged more than twenty-five vehicles a month had one thing in common: they each depended on their repeats and referrals to hit their numbers and make better than average commissions. They treated their customers right, which earned them repeat business and allowed them to ask for the referral. The great part, of course, is that their sales from repeats and referrals were the easiest and highest grossing deals they made. Living off referrals seems to have become a bit of a lost art for many in automotive retail… and it’s a shame. Every top salesperson you know today still lives off these, because (as I wrote) they close at high rates and the grosses are better. Mix in great reviews in the age of social media, and these top sellers are attracting even more customers. While most every store has at least a couple of salespeople doing a good job with referrals, the reality is that the vast majority of sellers enjoy little to no repeat/referral business today. Couple this with the “Up Bus” making fewer stops, and you’ll understand why many sales managers are struggling to get their average and below average sellers to sell more. Of course, these same sales managers know that to sell more in this environment, their teams must begin to generate more of their business themselves: from repeats, referrals and reviews. As was the case pre-internet, those salespeople earning great grosses and leading their teams today simply outwork their contemporaries. Of course, with a stack of business cards, a smartphone and the right apps, the work required to generate referrals (especially from reviews) is becoming easier. Let’s start with a little old school. I’m your friend in the car business. When you do this (along with handing your business card to literally everyone), you’ll actually have people coming to you asking for help. People you don’t even remember meeting, but who were so impressed by your passion (and who have your business card in hand) that they’re going to give you a chance to earn their business. Remember what you’re telling people in person (that is, “I sell cars; etc.”)? Great, now start telling them this via your social media accounts. This is the basis of Social Selling; and I recommend you take 49 minutes to watch this free video and learn Real Social Selling so that you don’t repeat the mistakes others have when they dove into this. Once you’ve established a Facebook presence (which many of you already have), it’s time to start generating some positive reviews from your existing customers. This means people you sold yesterday, last week, last month and last year. If you’ve only sold ten cars so far in your career, no worries; you’ve got ten chances to generate a positive review that will lead to referrals. 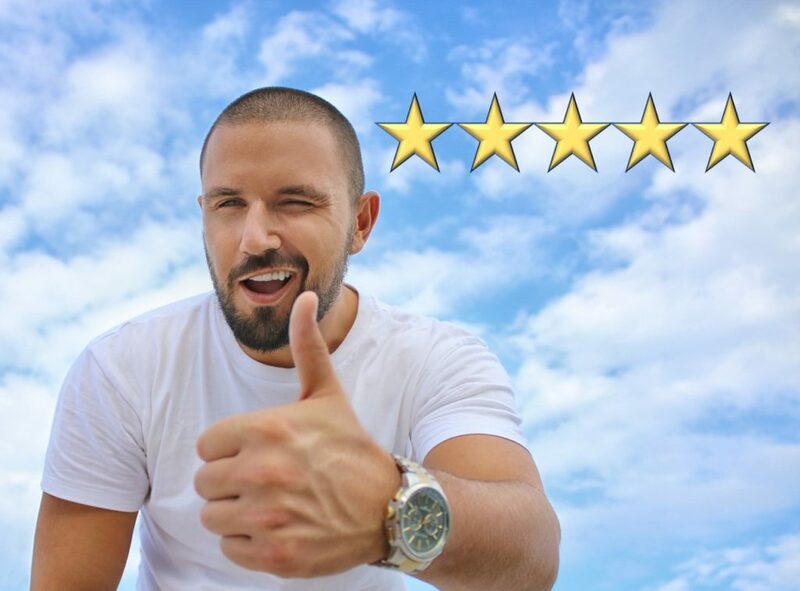 For dealers, there are lots of places to send potential reviewers; though for salespeople, you want to be sure that whatever site you use to generate a positive review will allow you to keep this review if you ever change stores. That is, you want to make sure that the review (just like your Facebook account) is yours and not the dealership’s. This is why I like Krutchit.com (and why I’m gladly helping them spread the word). When you encourage a customer to leave you a positive review on Krutchit.com, the review is yours. It stays with you if you ever change dealerships. Moreover, Krutchit.com makes asking for the review super simple – all you need is the customer’s name and email address! New Customers Will Find You! Plus (and this is the biggest plus about Krutchit.com), the ultimate goal of the site is not just to help you generate reviews that can easily be shared on Facebook and other social media, but to become the first stop for customers who are ready to buy. Krutchit.com, you see, allows consumers to search for the right salesperson before they ever set foot on a dealer’s lot. Krutchit.com is 100% free for salespeople and consumers. Additionally, for sales consultants who sign up for Krutchit.com while it’s still in Beta and begin generating reviews, you’ll receive future functionality at no charge! This means when the site is fully functioning, you’ll have consumers asking for you by name because they found your information on Krutchit.com! So, what’s stopping you from getting started on the road to lots of repeat and referral business? Be proud to sell cars, tell everyone you meet, include your Facebook friends, and do yourself a favor and start using Krutchit.com today!